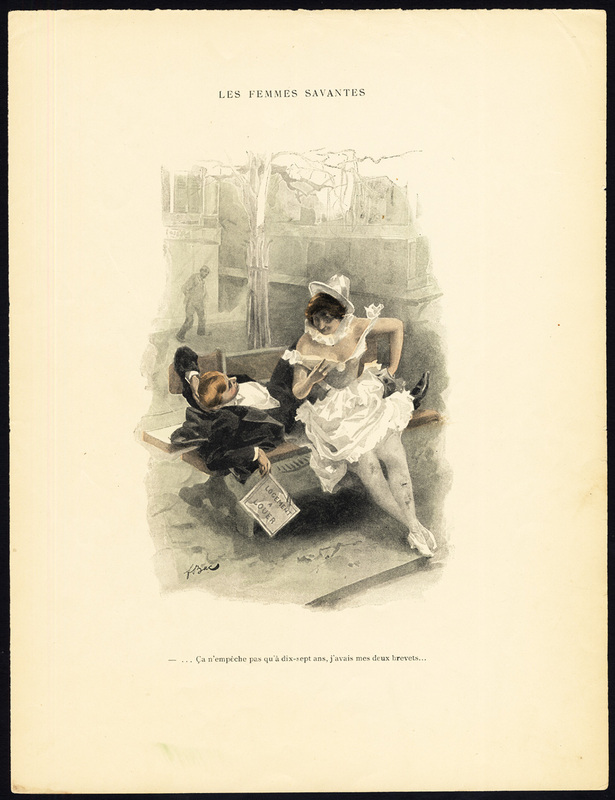 Subject: Plate : 'Les Femmes savantes.' (The intelligent women). This plate shows a romantic scene, late 19th century. Condition: Good. General age related toning and soiling. Ocasional small tear in paper edge, not effecting image. Please study scan carefully. Size (in cm): The overall size is ca. 27 x 36 cm. The image size is ca. 14.5 x 26.5 cm. Size (in inch): The overall size is ca. 10.6 x 14.2 inch. The image size is ca. 5.7 x 10.4 inch. Description: This original antique print originates from an unknown source. Artists and Engravers: Ferdinand Bac (French 1859 - 1952), artist and lithographer.